It’s official. It’s clean. It’s easy and it works without having to pull your hair out! That, my friends, is the new releases of PwnageTool 2.1 for Mac OS X and QuickPwn 1.1 for Mac OS X. 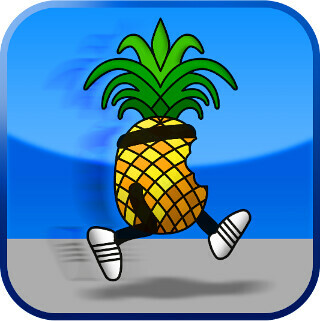 The DevTeam worked all day and all night to bring you an easy way to jailbreak your iPhone 3G. Yesterday, we were presented a way to jailbreak the iPod Touch is a couple shady QuickPwn that turned out to be “fake” tools that were not developed by the DevTeam but used their name anyway. Then, BigBoss released a tutorial on how to jailbreak the iPhone 3G but that was still kinda hard for non geekie guys to use. While criticism and competition is fine it should be reported correctly, with all the facts. and certainly minus the FUD. Do you guys think we are “less and less relevant with each passing day” ? We don’t think so, and we certainly prefer our hacks to theirs. 😉 Though even if the world deems us irrelevant, the iPhone family of devices is still fun to hack! By the way we figured out a way to combat iTunes 8 without patches…and we’re waiting to see what Apple tries next. But we think they might want to rethink their priorities. They probably won’t though, and so we get back to the “cat and mouse” game between Apple and the Dev Team and third-party communities. These can be downloaded from the iPhone Downloads section of my blog. Hey, this is for iPhone 3G only and as you can notice, it is for Mac only. A Windows version is coming out pretty soon. A QuickPwn tutorial can be found here and a PwnageTool Guide can be found here.